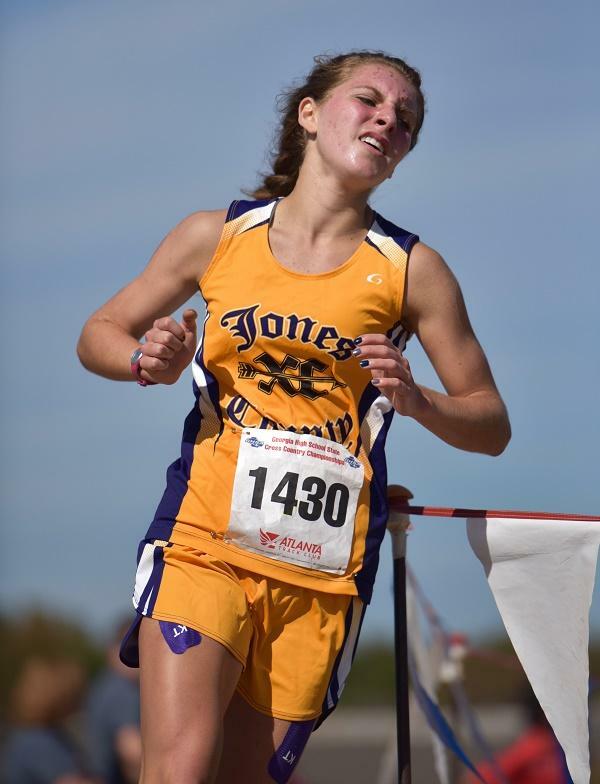 Erin Leonard from Jones County had a great 5th place finish at State in 2015. 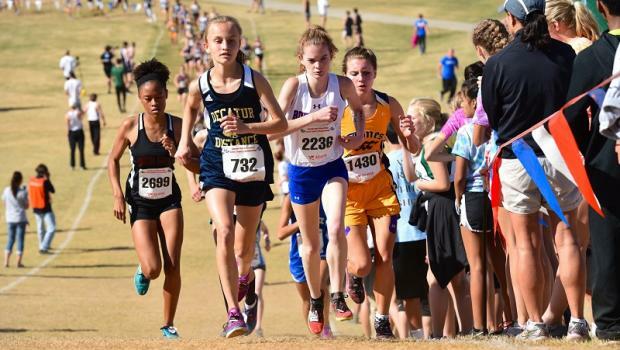 I witnessed her 4-AAAAA race at Heritage Christian course on 10-22, as she clobbered a good field, barely breathing hard at the finish, slapping a high 5 with the chute captain. 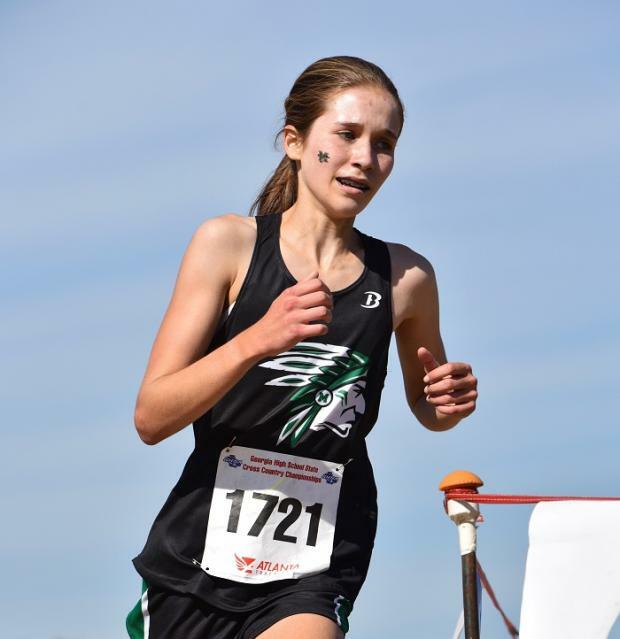 That should have been seen as bad omen for her challengers at State, as Erin obliterated a pretty decent field of runners, as the Soph won the title by :45 going 19:17. One has to take notice of all the young talent in AAAAA Girls. 15 of the top 16 finsishers are underclassmen, including 7 freshman! 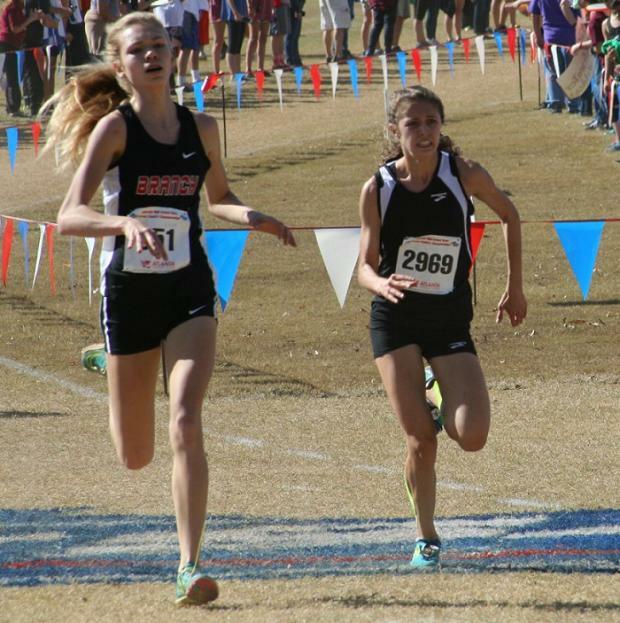 Woodland won their first ever Girls Cross Country State team title at Carrollton Saturday. They have the benefactor of a strong MS program, retaining the top runners at the HS level it seems. Frosh, Carli Clymer got the party started placing 5th overall posting a 20:09, with fellow frosh, Angela Cochran 3 spots back in 8th going 20:26. Cheyenne Spinks kicked in at 15th and frosh McKenna Trapheagen 18th! Sounds like Woodland is going to be in the hunt for many State title runs the next several seasons. 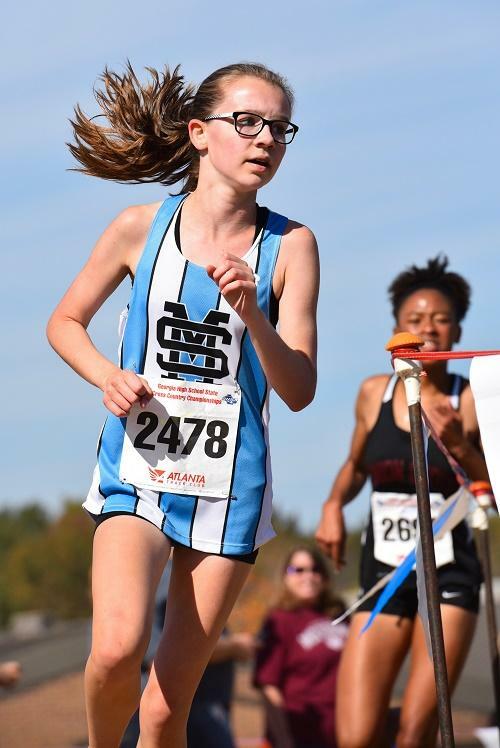 Crosstown friendly foe McIntosh enjoys the same prognosis as Starrs for the future as 2 freshman led the Chiefs to a 3rd place team finish including overall runnerup Megan Uszynski, who outdueled Dobso down the stretch clocking a 20:02 and Zoe Smith 9th at 20:29. Starrs Mill had a strong race, using some of that talent, grabbing the runnerup team Podium spot. Megan Dobso was incredible, taking 3rd overall in 20:05, with Junior veteran Mary Valli chipping in at 11th going 20:51. The Panthers will be even tougher next Fall, with more soon to be rising frosh coming into their program. As forecast, Flowery Branch ran well at State taking 4th place team wise behind Ericka Plummer's 6th place run of 20:10. Grady was 10 points back in 5th, followed by Decatur. Rounding out the top 10 Individuals were: Mckenzie Cromer of Union Grove; 4th at 20:06, Senior, Elizabeth Graves of Riverwood, 7th at 20:08 and Ashley McMahon of Whitewater, 10th at 20:36.